﻿ The Ananti Namhae, Namhae-gun | FROM $238 - SAVE ON AGODA! Have a question for The Ananti Namhae? Situated in Nam-myeon, Hilton Namhae Golf and Spa Resort is the perfect place to experience Namhae-gun and its surroundings. With its location just from the city center and 120 km from the airport, this 4-star hotel attracts numerous travelers each year. With its convenient location, the hotel offers easy access to the city's must-see destinations. 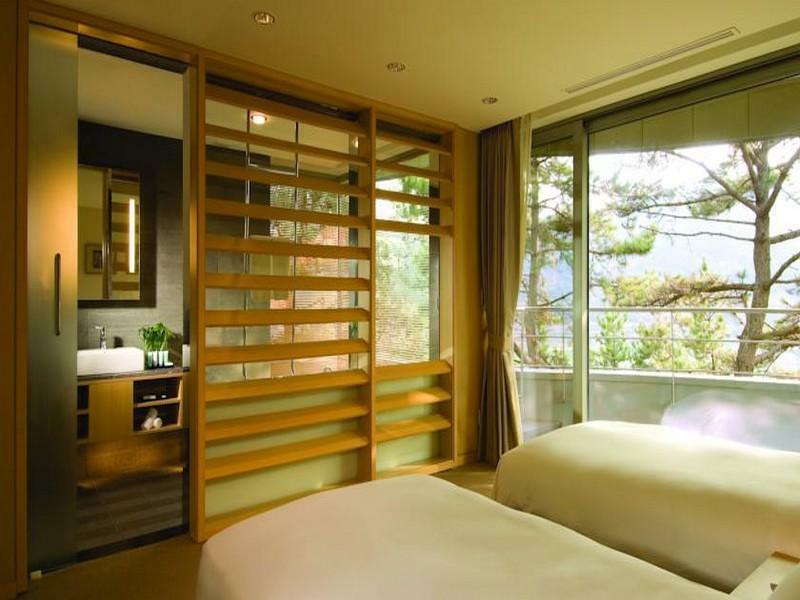 Take advantage of a wealth of unrivaled services and amenities at this Namhae-gun hotel. The hotel offers access to a vast array of services, including 24-hour front desk, facilities for disabled guests, Wi-Fi in public areas, car park, room service. 157 rooms spread over 4 floors provide a warm and pleasant home away from home. Modern comforts such as television LCD/plasma screen, complimentary instant coffee, complimentary tea, mirror, internet access – wireless (complimentary) can be found in selected rooms. Throughout the day you can enjoy the relaxing atmosphere of the hot tub, sauna, hot spring bath, golf course (on site), outdoor pool. 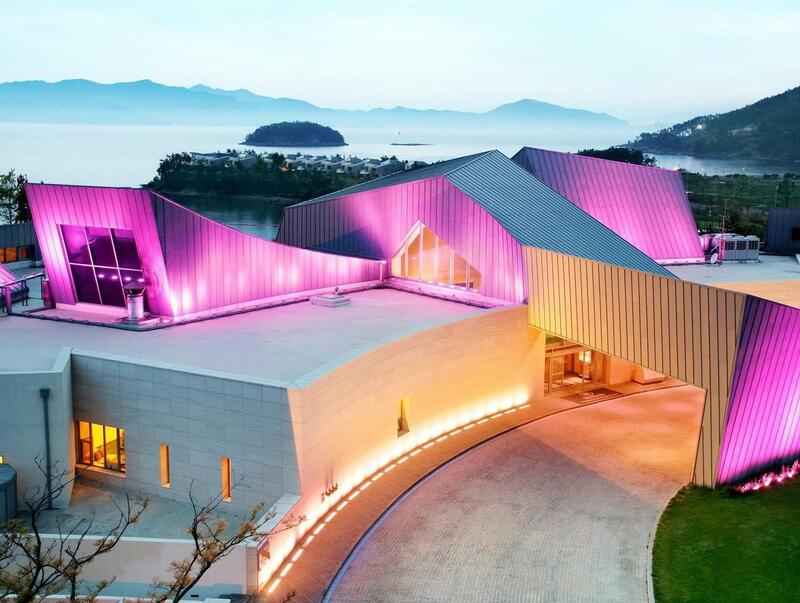 Whatever your purpose of visit, Hilton Namhae Golf and Spa Resort is an excellent choice for your stay in Namhae-gun. The hotel is great to families. We booked suites with two bedrooms each. Both were very spacious and cozy. There were rabbits running around the hotel yard. 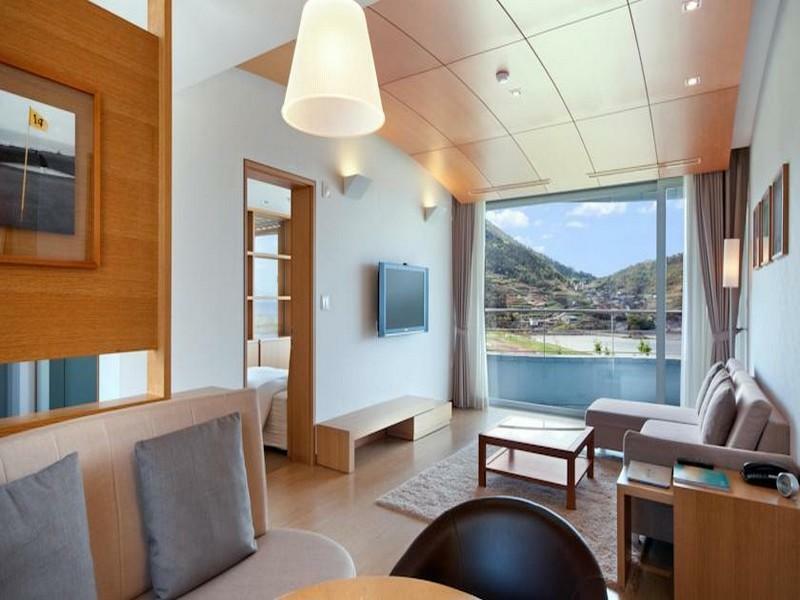 The view was really great and the hotel provides a great base to explore various attractions of Namhae. The building and the interior are all made with a lot of taste. There was also a great view from the spa, but the downside was that it closed early and the staff who spoke poor English could not warn us about that. Breakfast restaurant was too small for guests and too crowded. Unfortunately at the season I visited, there was little else to do there but play golf. Which if you didn't left you with nothing to do there.. However, the hotel made up for this by the nice spacious rooms and beautiful views. A quiet place to relax and unwind. The hotel staff were also very helpful in arranging for taxis to visit the other areas in Namhae. breakfirst is very nice. dont's miss it. actually looking from outside is not so much good. however inside facilities are better then that. it was nice. additionally, it needs more facilities for recreation. i booked the hotel for my family trip with my parents (3 people in total). in a fear of squeezing in a small room, i booked a deluxe suite, but it turned out just a double would have been enough. rooms were spacious & beds were cozy. just a little shortcoming was, the village is very unpopulated & we could hardly find a place to eat. we had to go to the marketplace in the city centre. outstanding architecture, wonderful environment, one of the most beautiful areas in south korea, very large rooms with good furniture and decoration,quiet, non-smoking everywhere,excellent service, however,breakfast service too slow, english language skills and in some parts the maintenance of the public areas could be improved. unfortunately restaurants and the swimming pool were already closed. Way from airport to the resort in fantastic. I stop by several times to take pictures. Hotel is very nice to stay. Very nice restaurant/bar in the club house. Golf course is good. Many attractions around the resort. Near from the resort, many seafood (raw fish) restaurants. The room facilities are excellent, the size of the room really very big and comfortable. The service provided by the hotel are excellent. This is a really amazing hotel that I have never been. The services provided by the staffs are excellent, although their English still need to improve. The room is big and comfortable. However, the swimming pool may be improved by enlarge its size and clean the pool more frequently. it is located in very beautiful place and its room is wide enough to enjoy like condominium. I asked concierge where to go and eat and do, he explained perfectly with guidebook. I enjoyed raw fish as his recommend and never forget. Sure to visit again with all our family. It has also golf club. The seaview was wonderful... It should be advertised to overseas more and attract to enjoy this nice place. Hotel condition is not great, quite dirty and a lot of bugs both outside and in the rooms. Service was average, only geared towards golfers. Kid activities we not running and the kids club was dirty and smelly. Room service food arrived cold and quill out was poor. Some staff were very helpful but others just ignored us. I would not recommend going there with kids as it's along way from everything and nothing to do in the resort. When asking staff to recommend attractions near by everything we thought would be good they said no it no good, or you have to walk along way. Overall a bad experience and very over priced. My children enjoyed the place. But it is better to go with your couple only. prestige and luxury are points of this hotel. 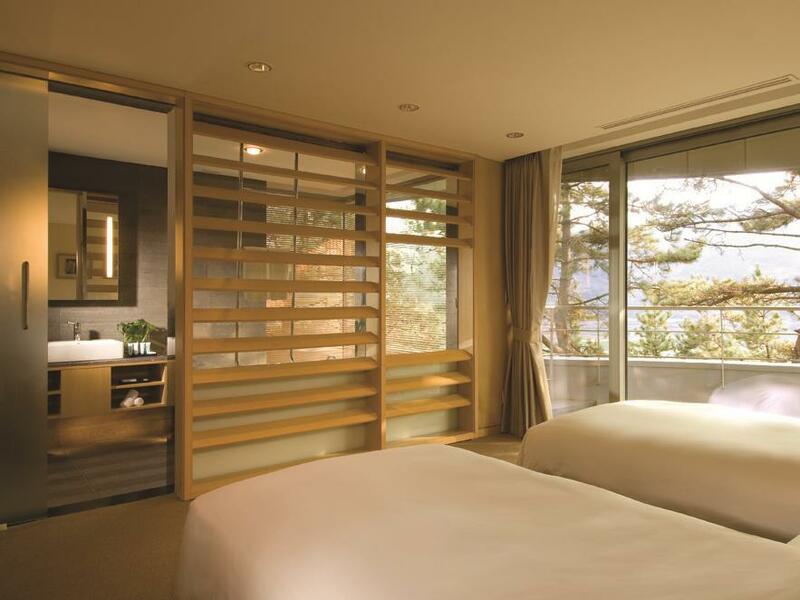 if you look for peaceful place, you need to stay here for a night. i stayed at hilton for 2 nights with my family. it was so comfortable, clean. i strongly recomment this hotel to people who has plan to trip namhae area. All things were good, except for breakfast. There was not enough various foods. It is such a great golf resort with fantastic surroundings. spa and breakfast service are good. Quiet location, ocean view, best hotel in surrounding area. Just a regular and good hotel, but room, food and wine way overpriced.